In overtaking Lewis Hamilton and soaring to Australian Grand Prix glory, Valtteri Bottas felt he gave his best performance in F1. 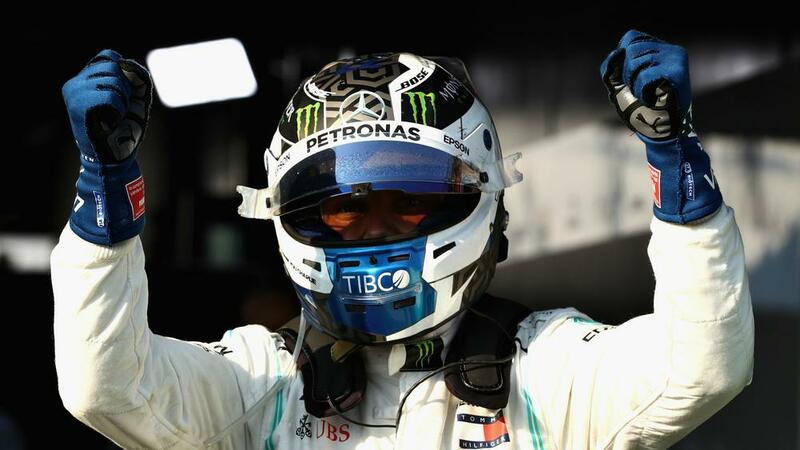 Valtteri Bottas felt he produced his "best race ever" as he began the 2019 Formula One season with a win at the Australian Grand Prix. Mercedes driver Bottas got away brilliantly and overtook pole-sitting teammate Lewis Hamilton into turn one, with victory always looking likely from that point. It represented the Finn's first win in 22 races, having last triumphed at the 2017 Abu Dhabi Grand Prix. "The start was really good. It was definitely my best race ever," said Bottas, who took a maximum 26 points by posting the fastest lap. "I just felt so good, everything was under control and the car was so good today. It was truly enjoyable. As I had a really strong pace I wanted to go for [the fastest-lap bonus point]. It's always a bit risky on worn tires, but it was worth it. "I'm so happy and can't wait for the next race." Bottas added on the podium: "In the beginning it was all about managing the race and trying to build a gap, which I did after about seven laps. I know I can do it, I've done it before. It was all about being at my best level. The second stint, when you're really on it, it feels kind of easy!" Hamilton appeared to struggle on the medium compound and had to fend off Max Verstappen to take second, though he said the Red Bull driver had presented him with "no problem". The reigning champion was pleased Mercedes sealed a one-two but had admitted he had an inkling about why he had failed to keep up with Bottas. "It's a good weekend for the team, so I have to be happy for everyone - a fantastic job from everyone," said Hamilton. "Valtteri drove an incredible race today so he truly deserved it and we've just got some work to do. It's a great race start to the year, more than we could have hoped for the team. "I do have some ideas [about the lack of pace], but I'll wait to sit with my engineers to go over it. It's frustrating when you have a good weekend up until that point but that's how it goes and I'll work hard to improve next time."